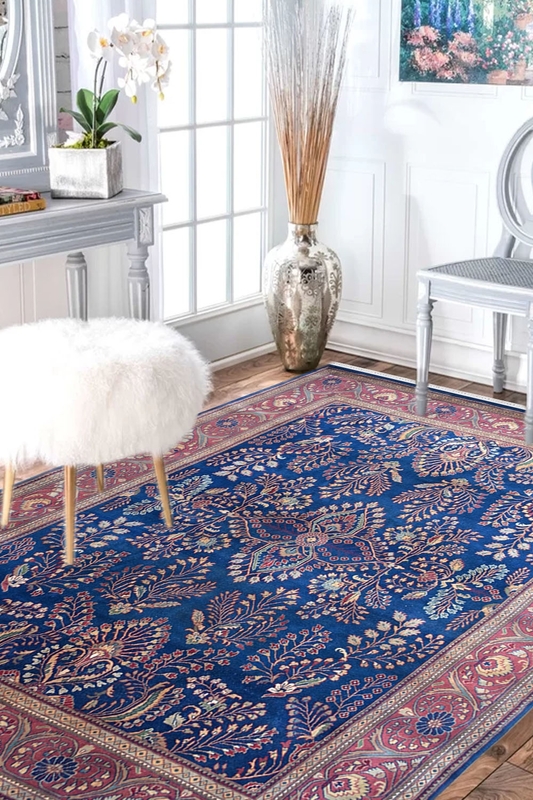 Blue is color of Royalty, this beautiful carpet gives a royal and beautiful look due to its royal color and intricate design pattern. It has taken many months to weave. This design is really very hard to weave but it has done by our skilled weavers in India. It has a beautiful defined pattern which is really hard to weave. The center of this carpet is the main eye-catching point which includes a gorgeous Lilian design. The ground is full filled with bold floral motifs and it looks like the branches of flowers. The additional feature is to contain blue color which represents the richness. So place this “One of a kind” Handknotted carpet in your home and give a statement to your floor.